The Simplecortex is a microcontroller development board that is shield compatible with the Arduino. 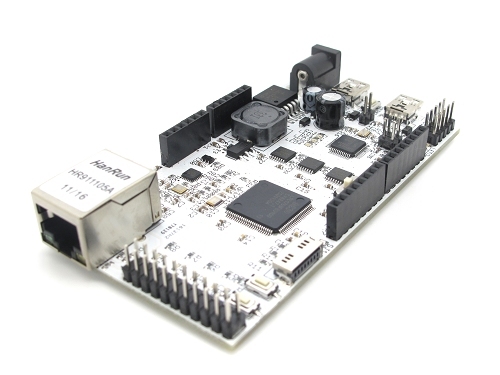 The Simplecortex has a fast microcontroller, the LPC1769 from NXP. This is a ARM Cortex M3 microcontroller with 512KB flash, 64KB RAM and it runs at 120Mhz. To make sure that the Simplecortex is easy to use we made tutorials for almost every peripheral on the chip and examples to get you started.